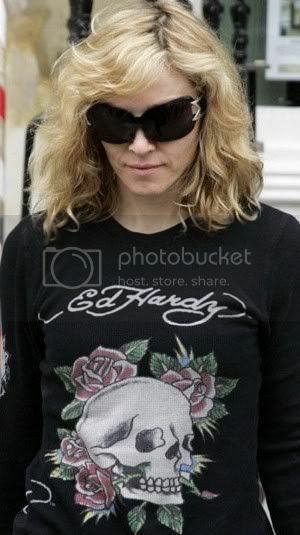 Madonna is the latest celeb adding her own nail to the Ed Hardy coffin. Soon to be seen on club promoters and reality TV has-beens everywhere. This just further proves my point that just because you're a celebrity, it doesn't mean you have taste.